Effective from August 01, 2018, Amit Jain will assume the position of Managing Director, L’Oréal India. He succeeds Jean-Christophe Letellier who after 5 years in the role, will take on an important position within the L’Oréal group. 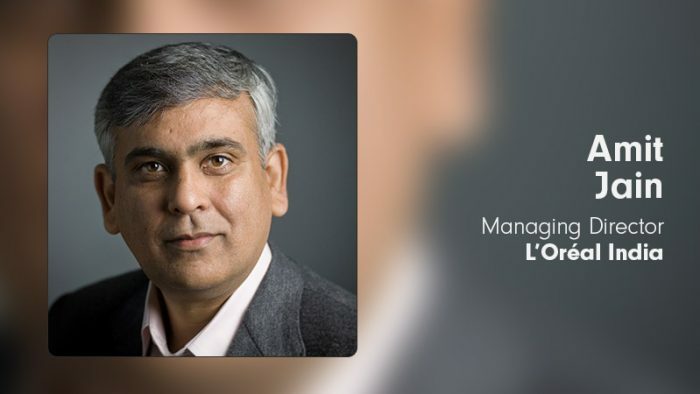 Amit Jain’s appointment as Managing Director, L’Oréal India will be the company’s first Managing Director of Indian descent. Amit Jain’s career spans over 30 years with renowned companies across countries such as ICI, Coca-Cola, Viacom and Akzo Nobel. In his last role, Amit held the position of Managing Director, North-West Europe for Akzo Nobel, based in Amsterdam. “I’d like to thank Jean-Christophe Letellier who in the past 5 years has made a remarkable contribution to the success of L’Oréal India. Under his leadership, the country experienced significant sales growth, revolutionized digital and e-commerce platforms, and achieved ambitious targets in skill development and environmental sustainability”, said Pierre-Yves Arzel, Vice President – South Asia Pacific Zone, L’Oréal. Amit will also look after Bangladesh, Sri Lanka and Nepal. He will report to Pierre-Yves Arzel, Vice President – South Asia Pacific Zone and additionally to Jochen Zaumseil – Vice President, APAC. Amit holds a MBA from the Faculty of Management Studies (FMS) and has done an Advanced Management Program from the Wharton Business School. Amit supports wildlife conservation and literacy for underprivileged children.